Yusuf Abramjee | The annual pilgrimage by Muslims to Makkah in Saudi Arabia is the largest single religious gathering in the world. 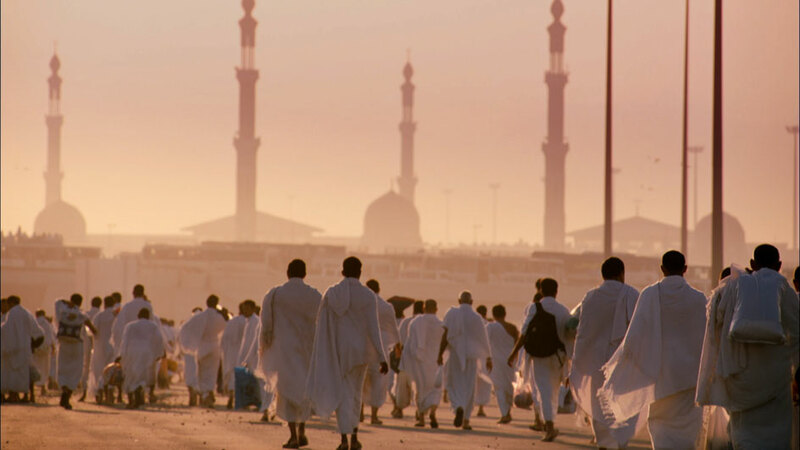 The annual pilgrimage by Muslims to Makkah in Saudi Arabia is the largest single religious gathering in the world. The annual pilgrimage by Muslims to Makkah in Saudi Arabia is the largest single religious gathering in the world. It drew to a close last week. Official figures by the General Authority for Statistics in the Kingdom show that 1,862,909 pilgrims took part in this year’s Hajj. Just over 1,3 million of them were from outside Saudi Arabia. Almost 2000 South Africans were accredited for Hajj this year. Many South Africans have to wait for years before getting visas, so my joy at being included in this year’s cohort of pilgrims was irrepressible. It was my first Hajj. Over the years I heard horror stories from some about how difficult it is to perform Hajj. My experience was completely different. My fears were all misplaced. Saudi attention to detail and seamless comfort for the pilgrim was most commendable.The scale of the exercise is much bigger than events such as the Olympics. Saudi police and soldiers were out in full force and safety measures were a top priority following disasters in previous years. The South African Hajj and Umrah Council (SAHUC), SA’s acting Ambassdor to the Kingdom, Mohammed Abbas Khan and Consul-General Shoayb Casoo ensured that pilgrims were well taken care of. They provided outstanding services to the “Hujjaj” – pilgrims including free medical care. ITV, a community TV station with an Islamic ethos, (DSTV 347) broadcasted live from Makkah every day to keep families of local pilgrims informed. They enlightened, informed and entertained audiences back home, sharing the greatest journey of the lifetime. Other media organizations also covered Hajj 2016 extensively. I met pilgrims from across the globe: Fiji Islands, Barbados, Australia, America, Indonesia, India, Pakistan, United Kingdom, Egypt, Nigeria, Ghana, Mozambique, Zambia and the list goes on and on. The paraphrased words of the Noble Quran echo in my soul that “we have created for you different tribes, races and nations so that you can get to know each other better with compassion”. So my “spiritual voices” of being culture fair and anti-bias with a focus on human rights, are unlike the narrative the public is fed, of Muslims as so-called terrorists. The one thing we can say is everyone from taxi drivers to shop owners love South Africans. It’s an even more animated response when we say we’re from “Mandela’s Country”. The sense of cross national Fellowship, care and compassion negates the bigoted voices of Islamophobia. The “voices of my spiritual education” overtakes me as I’m reminded to care for the hungry and poor. I was part of a group of South African pilgrims who rallied together this Hajj to distribute food and water for other pilgrims. Some 12 000 people benefitted over a week and a truck load of milk and juices was distributed over Hajj in Arafat. It was a small gesture. Let’s not forget that unconditional charity forms part of our AbrahamicTradition. I’m mentioning this not for gainsaying, but to celebrate the spiritual and diplomatic benefits for South Africans. Terror,arrogance, pride, classism are not at the heart of our Islamic tradition. As a pilgrim, I was acutely aware that my mortality and my worldly achievements meant nothing. I had to rely on modelling piety and compassion. It’s not a cliché to say that my Hajj 2016 was a journey of a lifetime. It was indeed a life changing experience. It provides Muslims with a massive spiritual boost and you leave the Hajj as a newborn baby – free from all sins. The challenge is to keep the flag of God Almighty flying high and being on-going ambassadors for Islam. It is our duty to submit to God’s Will by modelling the Prophetic values of “love to all – malice to non”, of justice, peace, care, service to humanity, to mention a few. Of course the first revelation in the Final Testament- the Noble Quran- helps since Muslims, as an act of worship have to be lifelong learners given that we are expected to: “Read! Read in the name of the name of the Lord who created Thee!” In a foreign setting with diverse people and languages this spiritual skill is a boon. In Madinah , the feeling you get when you stand before the grave of Prophet Muhammad (PBUH) to offer your greetings is just deeply restorative, spiritually enveloping and majestic. The vibrational energies are palpable as we hymn our praises to the Prophet, his companions and his family and plead that he intercedes on our behalf to God Almighty for Mercy and Grace on the Day of Judgement. It is apt that the resting place of the Prophet (PBUH), Madinah itself is very clean and has a serene and tranquil atmosphere. The endless sea of pilgrims who come to honour the Prophet 24/7 bears testimony to the Prophets legacy. In Makkah the architecture of the Grand Mosque itself is aesthetically pleasing and majestic both inside and outside. Expansions are underway and the Mosque, once fully completed, will accommodate 1,8-million pilgrims. Staying over in Mina, the tent city, visiting Arafat and sleeping under the stars in Muzdalifa are part of the five day Hajj ritual. The whole atmosphere, the realisation that you were in a deeply spiritual place on earth, the sheer volume of people, the recitations, was really pleasantly overwhelming, hypnotic and uplifting. All pilgrims were stripped of their worldly status, since our humble garbs, the white two pieces of material, the “Ihram”, made us all equal. No brand names – it was truly a leveller. A humbling experience for me was the taw’waf (circling) around the Ka’aba – the first house of worship dedicated to God, built by Prophet Adam – which is an act of worship; it is a ritual unique in the history of the humankind. It consists of going seven times (anti-clock-wise) around the Ka’aba, simply praising God Almighty. This tradition goes way back to the time of Prophet Abraham and which, in the process, reminds every pilgrim that Prophet Muhammad (PBUH) did not bring any new religion into the world but rather he brought perfection and the finality to the same monotheistic faith – Islam- that was preached by the earlier Prophets Abraham, Moses and Jesus (peace be upon all of them). The Hajj becomes all the more a poignant and an emotional experience to a Muslim as it is an act of worship enjoined on them by God as we honour a religious tradition that goes back several centuries in time including the Prophets Adam and Abraham. Yes – these elegantly simple words are often described as the anthem of Hajj, the song of Hajj, the chant of Hajj, the essence of Hajj. Millions have been drinking its blessed water for generations and there seems no end of it. Besides, it is required of all pilgrims to drink from the Well and, as they do, they remember God and thank Him for his generous Bounties and Mercies. This endless supply of healing water gushes forth at the spot in the desert where Prophet Abraham’s wife Hagar begged God Almighty to grant her water. Another highlight for me and the most cathartic experience was the symbolic pelting of the devil – it’s really a rejection of all evil and an acceptance of submission to God Almighty’s will. One becomes deeply reflexive of life and living during Hajj. Yes, we live in a world of turmoil. So, here we pray for global peace. Islam is under attack and misconceptions about our religion are rife. Simply put: the love we saw here on Hajj, across colour, race, class, culture, gender lines clearly negates the bigoted media narrative. That’s one of the reasons I decided to share my #Hajj2016 #AbramjeeOnHajj journey on social media platforms and on the mainstream media. The “voices of my spiritual education” are indeed eminently suited for the 21st Century. Hence I’ve decided to spend the remainder of my life to “spiritualise my politics, and politicize my spirituality” for all of human kind as Muslims are supposed to, for the pleasure alone of God Almighty Allah. The first groups of pilgrims arrived home this weekend. The King Abdulaziz International Airport in Jeddah was packed to capacity as tens of thousands of pilgrims prepared to leave. One had to check in some 10 hours before our scheduled departure. Hajj 2016 will live in our hearts for ever. *Yusuf Abramjee is a social activist.